Illinois' Malcolm Hill shoots a three in front of Iowa's Jarrod Uthoff during the game against Iowa in the second round of the Big Ten Tournament in Indianapolis, Indiana on March 10. The Illini won 68-66. 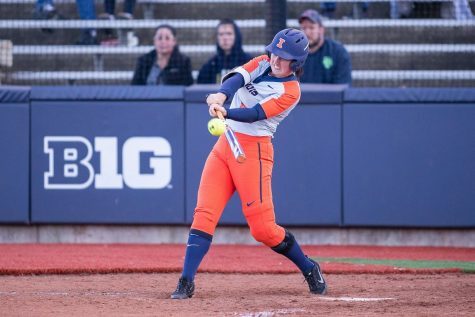 Illinois looked on the verge of collapse twice Friday in its second round matchup with fifth-seeded Iowa in the Big Ten Tournament, and twice the Illini responded in a way they haven’t all season. The result was a 68-66 stunner over the 20th ranked Hawkeyes as the Illini advanced to the tournament quarterfinals in Indianapolis. 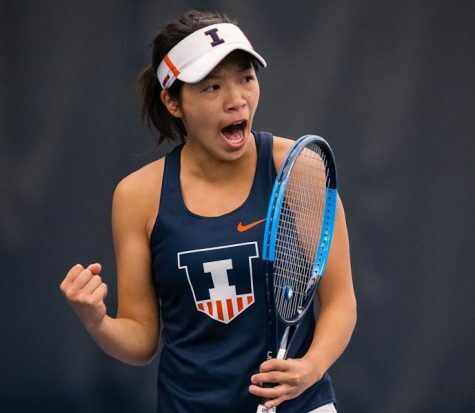 The 12 seed Illini will face 4 seed Purdue in the quarterfinals Friday at 1:30 p.m. The first big blow to Illinois came in the first half as Iowa’s Peter Jok scored 15 of his game-high 29 points in a lightning-quick two minutes and 49 seconds, erasing a 24-13 Illini lead. 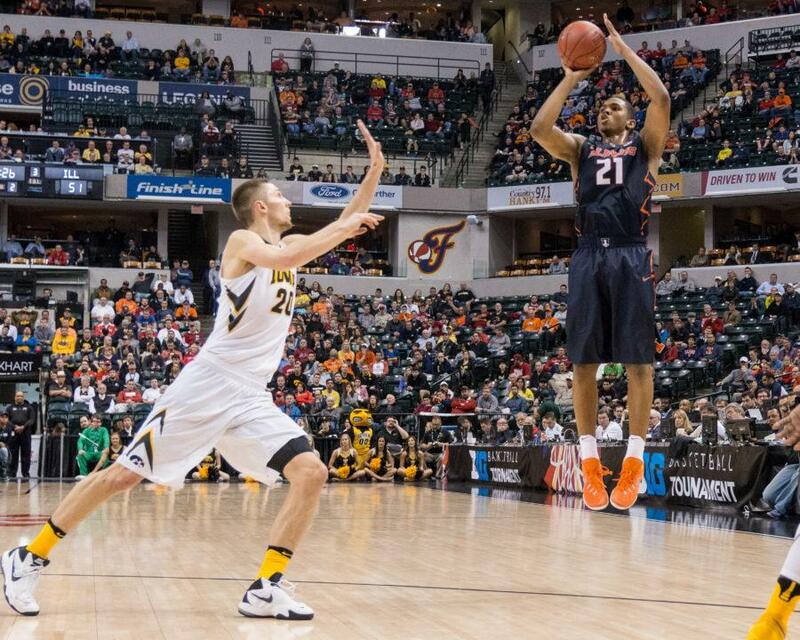 Despite Jok resembling Reggie Miller on the Indiana Pacers floor, Illinois didn’t waver. Malcolm Hill, Khalid Lewis, Kendrick Nunn and Jalen Coleman-Lands each quickly responded by converting on the offensive end, and the Illini took a 37-35 lead into half. The second threat came in a panic-inducing two minutes and 28 seconds for Illinois in the second half after Iowa mounted a furious 11-point comeback. After Illinois controlled the tempo all afternoon, the Hawkeyes suddenly turned up the heat with a full-court press and wiped away their double-digit deficit to tie the game at 66 with 1:40 remaining. That familiar feeling of dread seeped into the hearts of Illini fans as it looked like a certainty that John Groce’s squad would let a second half scoring drought doom them one final time this season. But Hill — the team’s leading scorer who uncharacteristically recorded just six points — calmly spearheaded the Illini response. Hill drilled his trademark fadeaway jumper from the top of the key to give the Illini a lead they had to cling to for another agonizing 1:16 to escape with their biggest win of the season. Nunn delivered the defensive play of the day on Iowa’s final possession, deflecting an inbounds lob off Dom Uhl’s fingertips with three seconds to play. 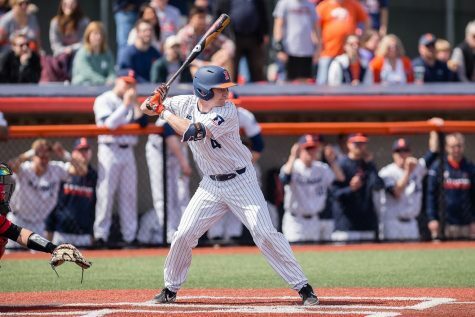 By the time Illinois inbounded the ball cleanly and the final buzzer cemented the upset, the Illini players were yelling and beaming from ear to ear. They looked nothing like the team that suffered through a myriad of injuries and a 13-18 regular season. Instead, they looked like a team who’s starting to believe. The intensity of the last several minutes almost overshadowed what a fun basketball game this was wire-to-wire. When all 14 Big Ten schools’ fans are engaged in the action, you know you’ve got a good one, and everyone at Bankers Life Fieldhouse was locked in. The game took on a breakneck pace in the second half as both teams traded blows. It seemed like every time Iowa threatened prior to the last four minutes, Coleman-Lands would answer by rising up and cashing one of his five threes in the game. 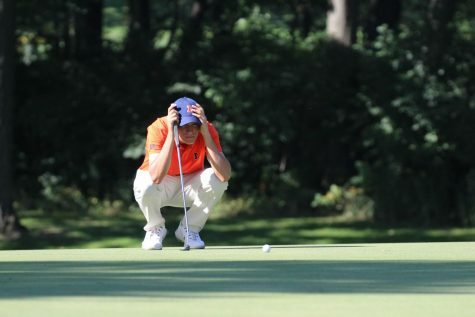 And in the game’s closing moments, it was Illinois’ junior duo of Hill and Nunn who came through. Unlike the dregs of the regular season when Groce’s guys seemed to wilt at the first sign of disaster, Illinois decided to stand up to Iowa Thursday. 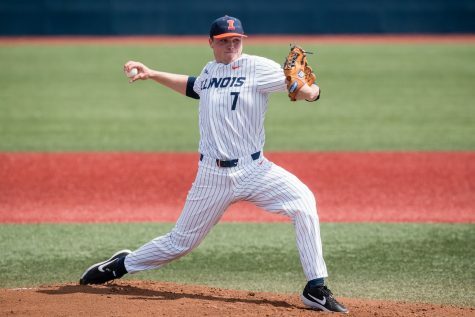 In both instances when it looked like it would all fall apart, the Illini gritted their teeth, stared down the situation and delivered their two most crucial counter punches of the year.